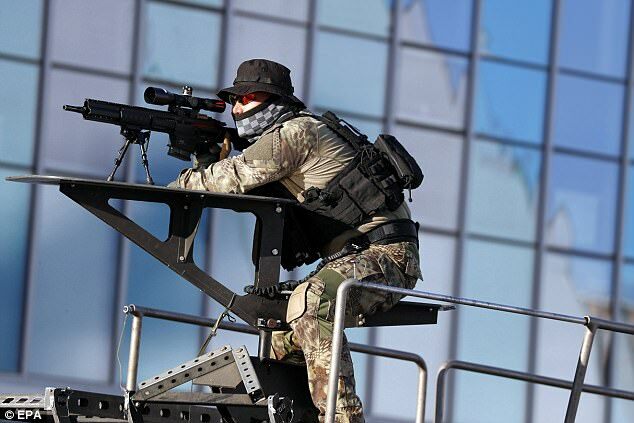 A South Korean sniper sits on top of a vehicle outside the Olympic Stadium in Pyeongchang. (by Choi Jiwon and Hyunjoo Jin, Reuters, Dec. 12) PYEONGCHANG, South Korea – Set to host the Winter Olympics in February, South Korea conducted a series of security drills on Tuesday (Dec. 12) to prepare against terror attacks ranging from a hostage situation, a vehicle ramming a stadium and a bomb-attached to a drone. 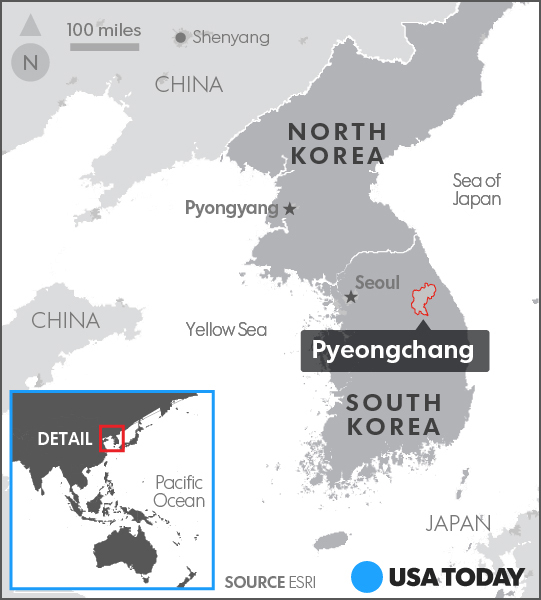 Police and firemen were among around 420 personnel participating in the exercise, held in front of the Olympic Stadium at Pyeongchang, just 50 miles from the heavily fortified border with North Korea. During the simulated drills, members of a SWAT team shot down a drone with a bomb attached that was flying toward a bus carrying athletes. In another part of the mock exercise a terrorist took hostage athletes on a bus, and tried to ram the vehicle into the stadium before being gunned down by police. Officers in gas masks also removed a chemical bomb. Anxiety on the Korean Peninsula has been rising in recent months due to a series of missile tests by North Korea as it continues its pursuit of nuclear weapons in defiance of U.N. sanctions and warnings from the United States. Lee did not mention North Korea, but South Korea’s Defense Ministry on Friday flagged risks that North Korea could resort to terrorist or cyber attacks to spoil international events. Pyeongchang’s organizing committee for the 2018 Games (POCOG) has also hired a private cyber security company to guard against a hacking attack from the North, tender documents show. To minimize the risk of provoking an aggressive North Korean reaction during the games, South Korea has asked Washington to delay regular joint military exercises until after the Olympics, the Financial Times reported. 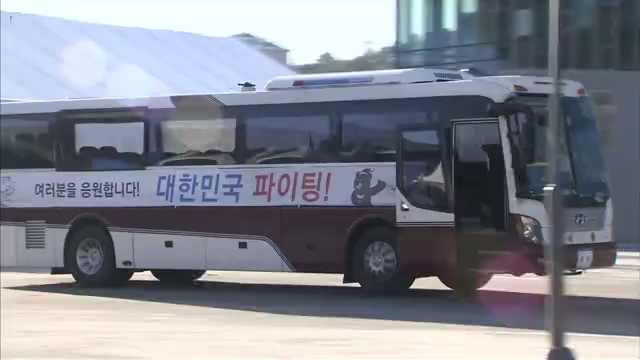 A spokesman for South Korea’s defense ministry said on Tuesday that nothing has been decided. c) How many security personnel will be involved in the Winter Games? d) Considering the possible threats, as well as the extensive safety preparations being made by the South Korean government, if you had free tickets to attend any of the events, would this cause you to alter your plans? Explain your answer.